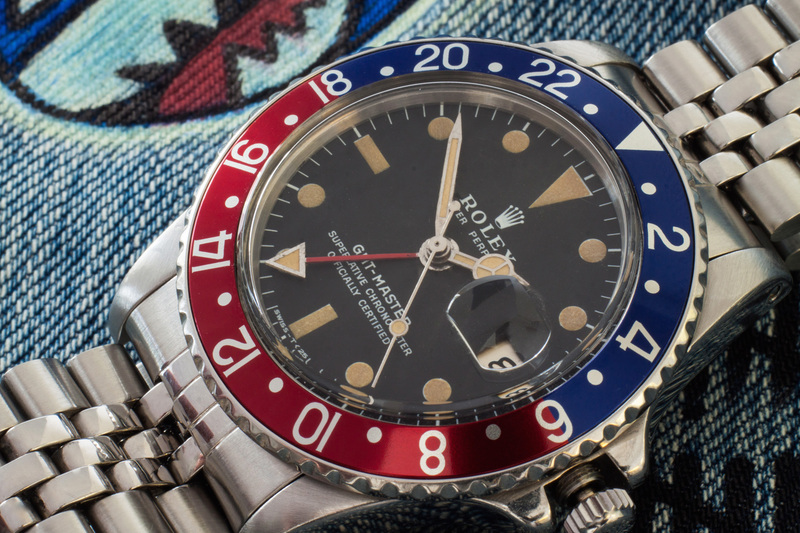 Beautiful 1675 GMT with a spotless matte dial and warm patina on the hour-markers and hands! The case itself is in a nice and fair condition and shows no scratches or dents. 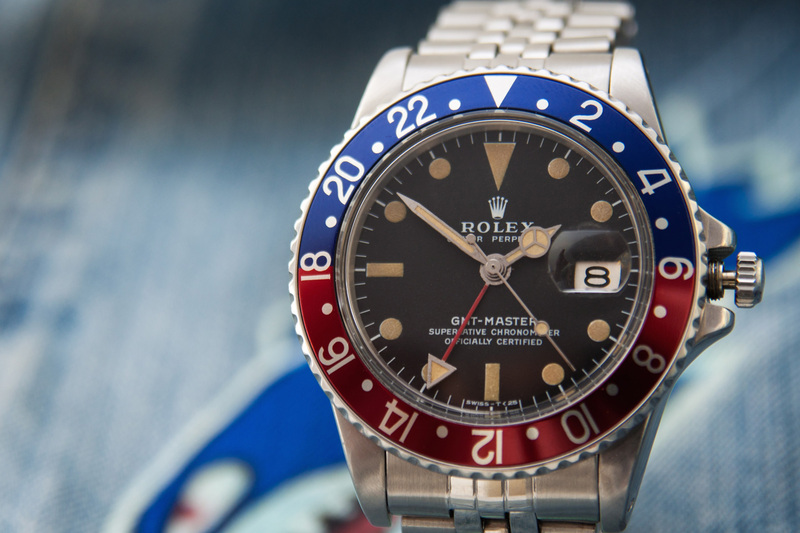 The Jubilee bracelet on this GMT-Master is a so called U.S. Jubilee and has been completely overhauled and tightened. 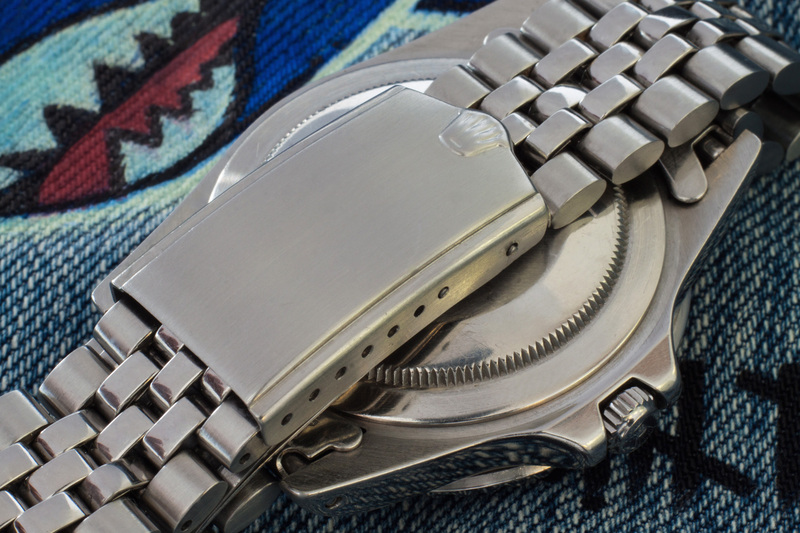 The links and the entire bracelet are as tight as the day it left the factory! This 1675 GMT from 1977 has been completely serviced and comes with service papers, parts and Rolex pouch. 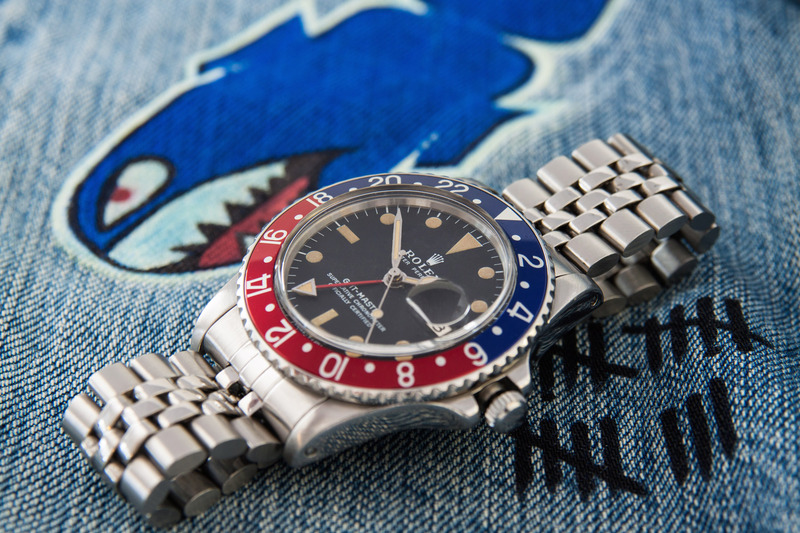 There’s a one year warranty on this beautiful GMT-Master.